No one likes a moisturizer that feels heavy or one that leaves a film on the face, and if you have sensitive skin then your choice gets even more limited. 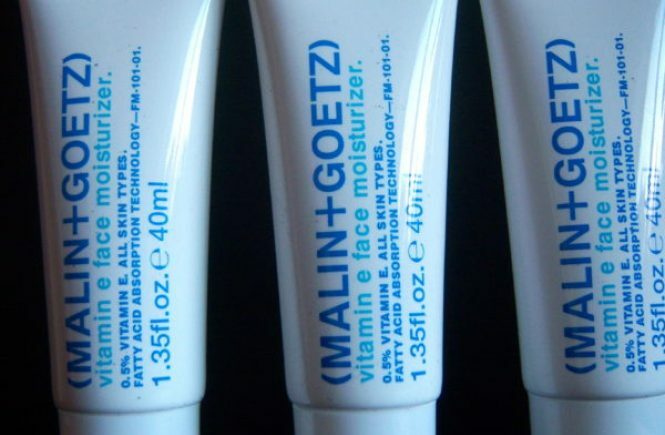 Enter the MALIN + GOETZ Vitamin E Face Moisturizer. Packaged simply in minimalistic white and blue (tubes and a pump dispenser), it’s unisex, and suitable for all genders, skin types and ages. The company was founded in 2004 by New Yorkers, Matthew Malin, and Andrew Goetz, who developed their range of skincare products because Matthew has sensitive skin and skin allergies. Their philosophy is to use as few harsh chemicals, colorants, or synthetic ingredients as possible in their products in order to reduce the risk of allergies. Instead, they use fatty acids (which may not sound so pleasant), instead of waxes and silicones, which can feel heavier on the skin. All their products are formulated to be pH balanced (skin is about 5.5), which means that they will never be too harsh on the skin. 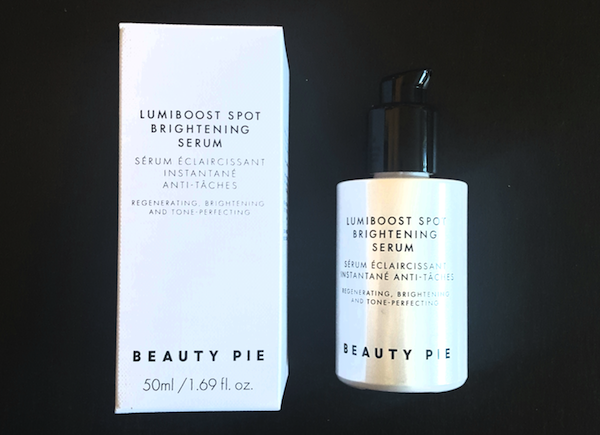 This is important because when a skin is pH balanced, that’s when a healthy skin renewal cycle works best, and the skin can absorb products more effectively. This moisturizer is simple, light, unfragranced, and hardworking. It doesn’t leave a film on the face (oil-free), and has excellent hydration qualities. Among the ingredients are 0.5 percent of Vitamin E , that helps protect and repair the skin which is essential for those with sensitive skin. In addition it contains chamomile, which calms the skin (ideal for those who are sensitive or who experience redness), and Vitamin B5, which helps with allergies. A small amount is needed, and can be used in the morning (but remember to use sunscreen) and in the evening. 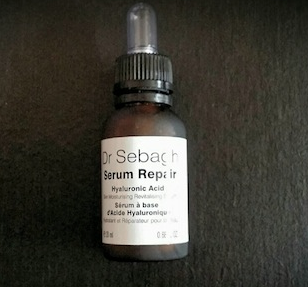 I used this to help repair my skin after a reaction from using some strong facial serums, and is ideal for those who get rashes easily. For those who like to use a primer, this is ideal as it is instantly absorbed into the skin and is suitable for all skin types and all year round. Anyone with oily skin will love this product as doesn’t leave a film which often deters them from using a moisturizer. Many people think oily skin doesn’t need a moisturizer, but if they don’t, the skin can get dry and flaky easily, especially if they use astringents. 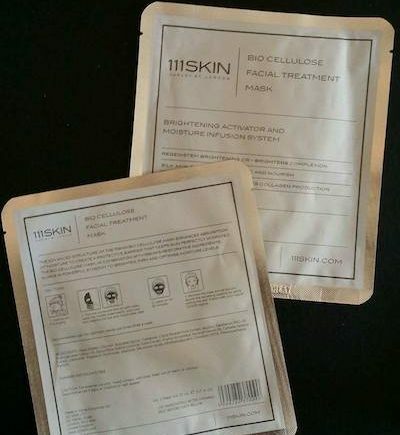 The company also has a green policy and products are free of parabens, but some do contain preservatives (otherwise the products would not last long once opened). In line with many companies, they don’t test on animals, but there are a few items that use animal by products, so not all products will be suitable for vegans. These include honey, lanolin, and the candles contain beeswax. The minimalistic packaging reflects the apothecary style of the company and their key messages of using natural ingredients that are suitable for sensitive skins. You can find MALIN & GOETZ on their own website ( www.malinandgoetz.com ) , beauty websites such as Space.NK, and department stores such as Barneys New York.